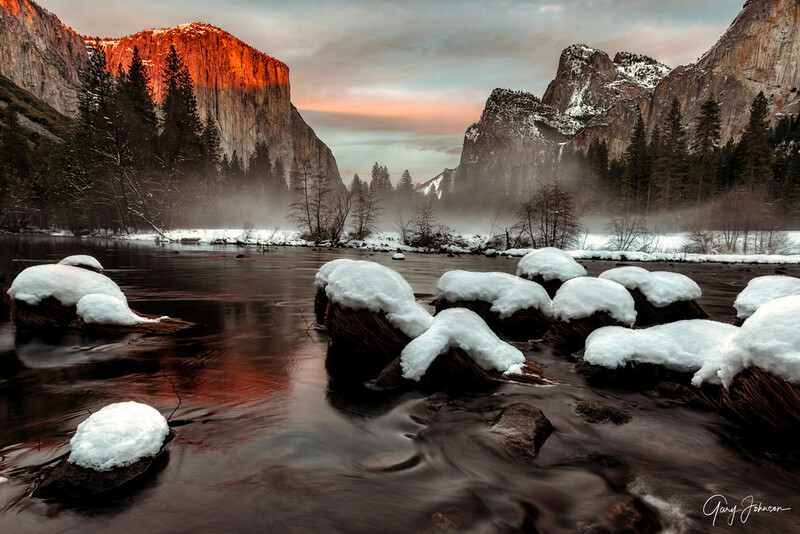 "Snow Capped" was photographed in Yosemite Valley on the Merced River after a snow storm. I was standing in the icy cold water with my camera on a tripod inches off the surface. I especially was drawn to the fog bank on the opposite shoreline and the warm setting sun as it lighted up the top of El Capitan.